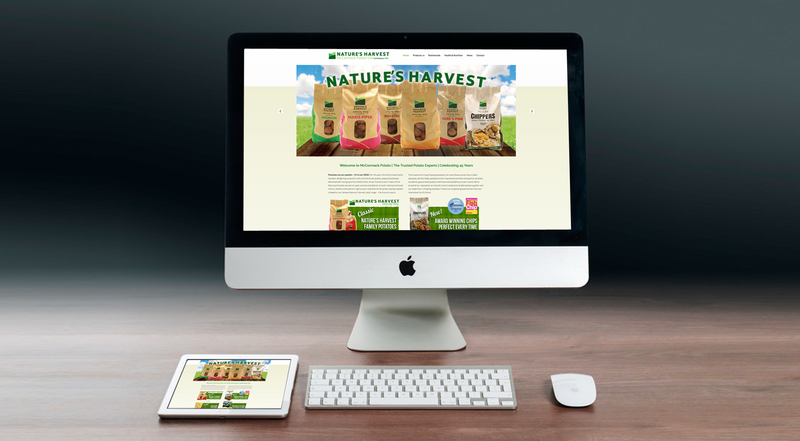 Local Potato Supplier McCormack Potato approached Push to redevelop their website in early 2016. They supply an extensive range of potatoe varieties to a provincewide retail group as well as a local Kosher crisp manufacturer and on a direct basis. They explained their old site was tired and not reflective of their place in this competitve marketplace. They needed a site that could inform potential customers of their products and services and also convey their valuable heritage of being 45 years in business in this sector. They’re not just a potato supplier, they’re in the meal resolution business, something that customers relate to. As well as developing their website the company also embarked on a significant marketing campaign embracing social media and trade publications.